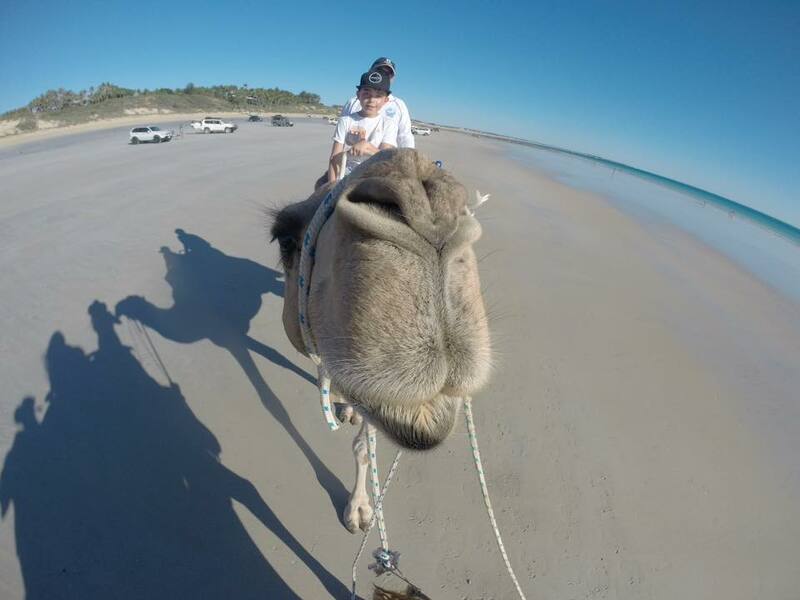 We initially arrived in Broome way back when in early May and eventually left for good in the middle of July. 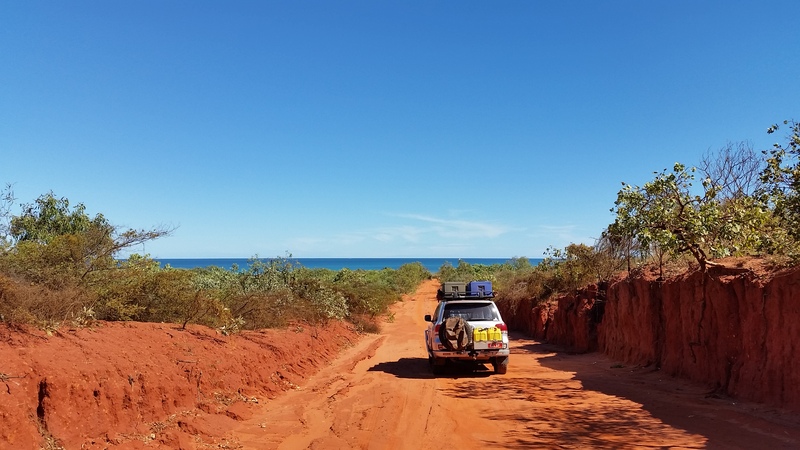 However out of this 2 ½ months we spent in the southern part of the Kimberley, in total we spent about 6 weeks in Broome itself. 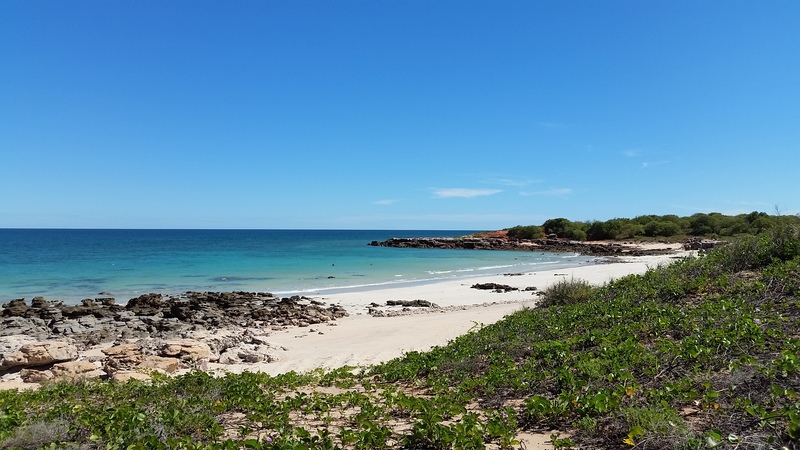 Our initial visit had us restocking groceries and catching up on school work before we went exploring, first up was a place just north of Broome called Quondong Point. 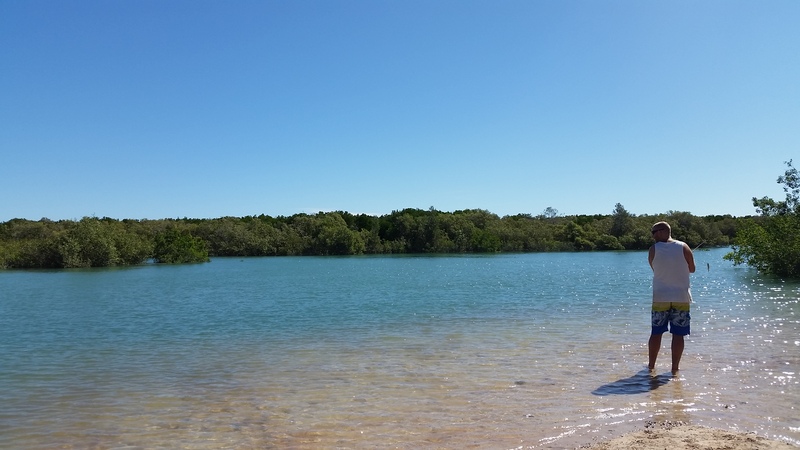 We spent the afternoon there swimming at the secluded beach and lazing around before we headed back south along some dirt tracks that led us to Willie Creek Pearl Farm. 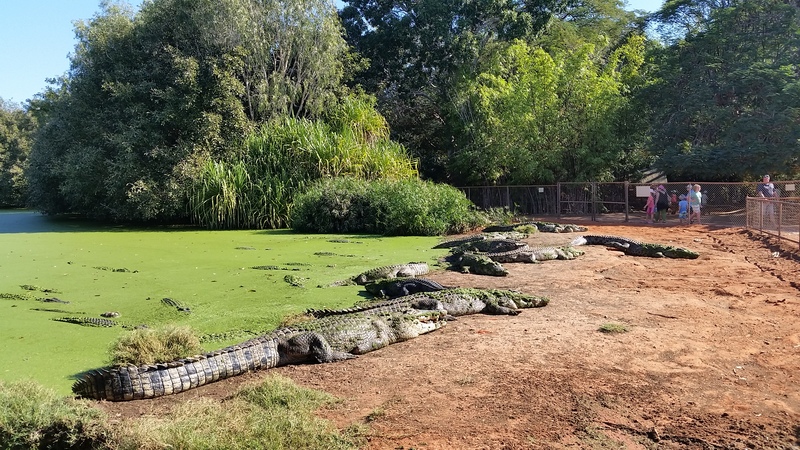 We only had a quick look around the farm as we had deemed the pearl tour too expensive and we figured we would do the one up at Cygnet Bay Pearl Farm. The road into Quondong Point. 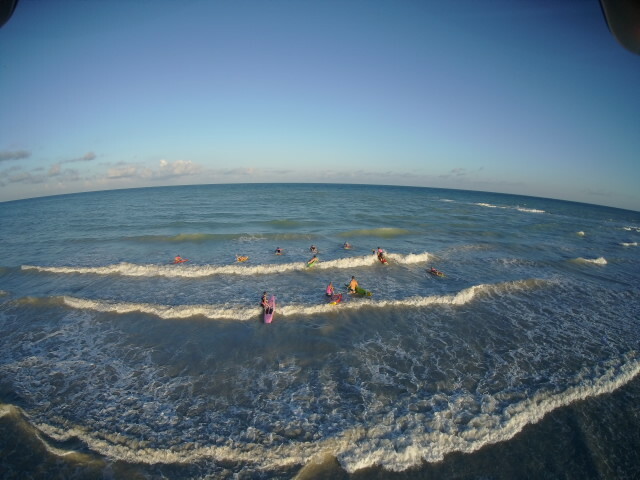 The beach at Quondong Point. Nik fishing just south of Quondong Point and north of Willie Creek. 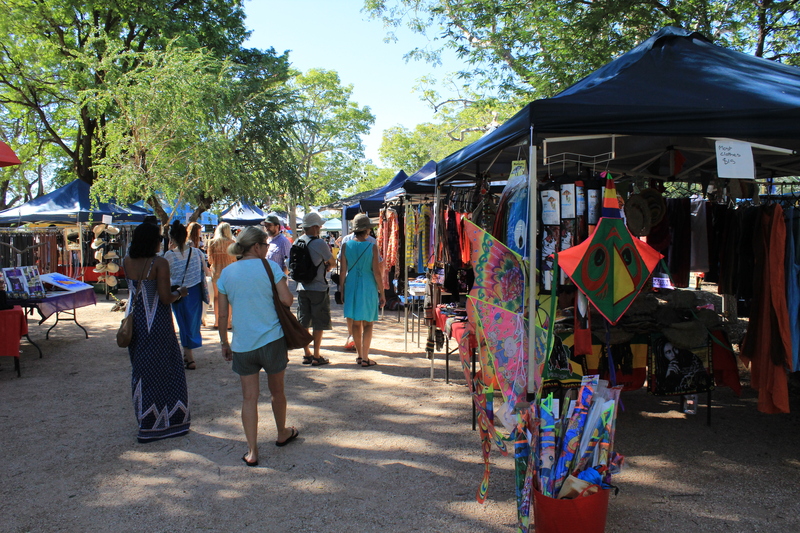 We also visited the weekend markets that were held at the Old Broome Courthouse in town, with the Saturday markets being a lot busier with more stalls than the Sunday ones. 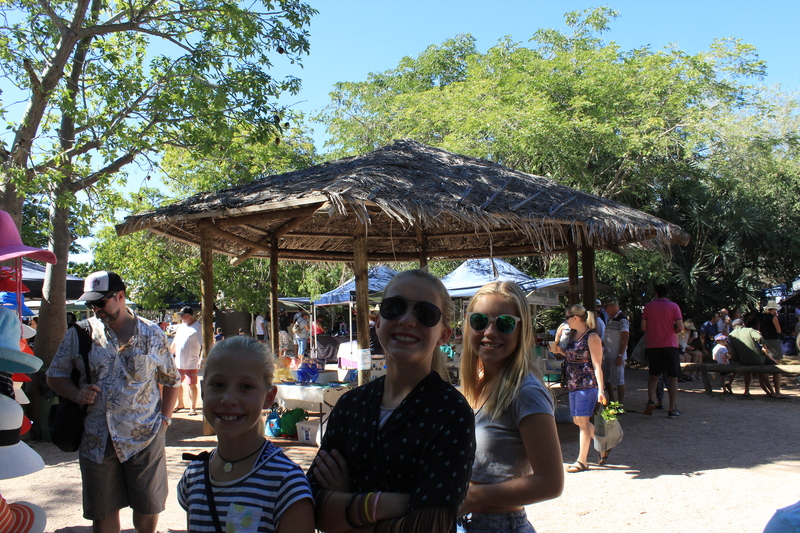 The markets were great with plenty of Asian food stalls, coffee stalls, mango farm stalls and plenty of pearl stalls (yes the freshwater ones too….grrr) as well as clothes, knick-knacks, art and circus gear…. All the Smith girls love a market. Whats a market without a coffee? 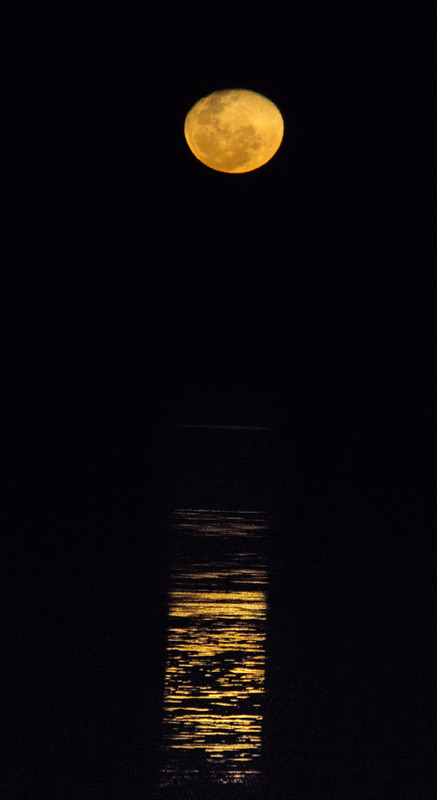 Fortunately, one of our stays in town coincided with the Staircase to the Moon event. 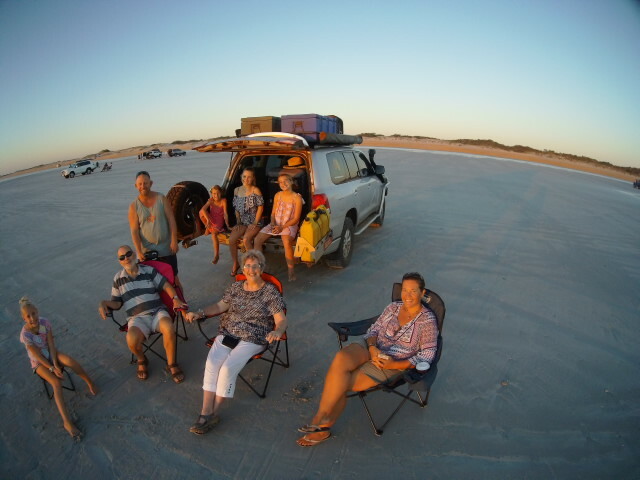 With the best vantage points being at Town Beach, where we spent an intimate evening with about 3,000 other tourists, perched on the grass staring east out over the mud flats of Roebuck Bay. After a bit of jostling, nudging and pushing (we had arrived fairly early to get our good patch of viewing grass and were not going to give it up for straggly latecomers) we were able to hold our ground and view the moon rising and forming the horizontal reflections on the mud flats and creating the optical illusion of a set of stairs leading up to the low set moon. However, Jess has declared that it looks more like a ramp to the moon for her…….. Nik and I tried to get some decent shots of the staircase, unfortunately it was a bit hard as we didn’t have the tripod for the camera (it probably would have knocked over by the crowds anyway) and we couldn’t help but shake our heads at the hundreds of flashes going off on cameras around us. So after we were finally jostled out of our vantage spot we retreated back to our car, however I did sneak one final look over my shoulder and couldn’t help but catch my breath as I turned at the perfect moment. The sheer size of the moon and its staircase reflection was amazing, as usual it was a sight that no camera could do justice to, however I was fortunate enough to have it saved to my memory, before I turned and realised everyone else had walked off leaving there by myself staring stupidly at the moon with my mouth wide open…..
Whilst in town I dragged everyone off to Streeter’s Jetty, just behind Chinatown, to view the jetty at both low tide and high tide. 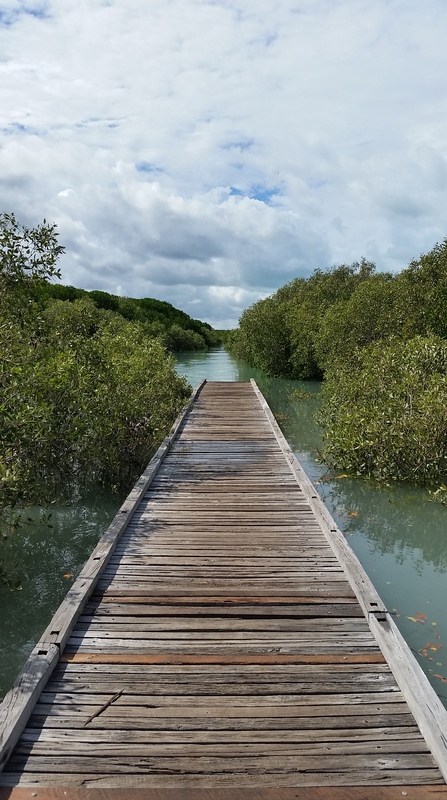 Streeter’s Jetty was named after one of Broome’s original pearling locals and was once the centre of the hustling and bustling pearling industry, with many pearling luggers being moored along it and near it, back in the day. These days however, it now sits out the back of Chinatown as a cherished reminder and monument to a once thriving industry, having being restored to a more safer structure a few years ago. Although the tides here aren’t as big as the tides at Derby, some 200kms away, they are still pretty amazing. At low tide the jetty is a lonely figure standing in mud flats and surrounded by mangroves, fluorescent orange crabs (with one huge claw and one small claw) and of course millions of biting midges that literally chase you running, screaming and slapping your legs and arms off the jetty. 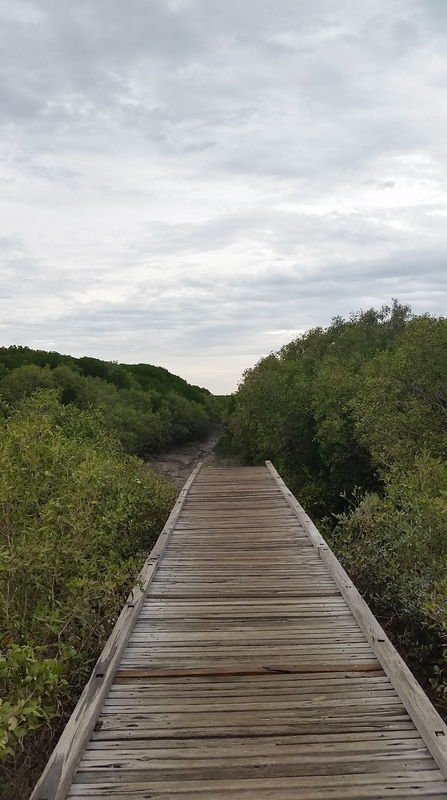 However, at high tide the murky, muddy water is lapping at the timber boards of the jetty, air bubbles constantly bursting on the surfaces, leaving you wondering just exactly what creatures (big and small) the tide has bought in and are hiding beneath the water and the mangroves. Streeters Jetty at low tide. Streeters Jetty at high tide. 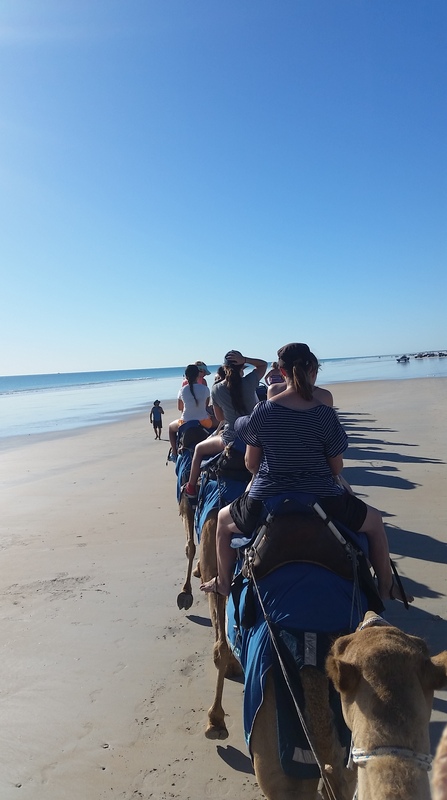 Another exploration had us heading down to Gantheume Point, the southern most point of Cable Beach in search of dinosaur footprints. Now this little adventure couldn’t be done any old time, we had had to wait for a low tide that was lower than 2.1 metres and this then had to occur at a reasonable time of the day. The reasons being that the footprints were actually in the water most of the time and that to view them the tide had to drop below 2.1. So after we had worked out the best day off we trotted late in the afternoon to look for these footprints. 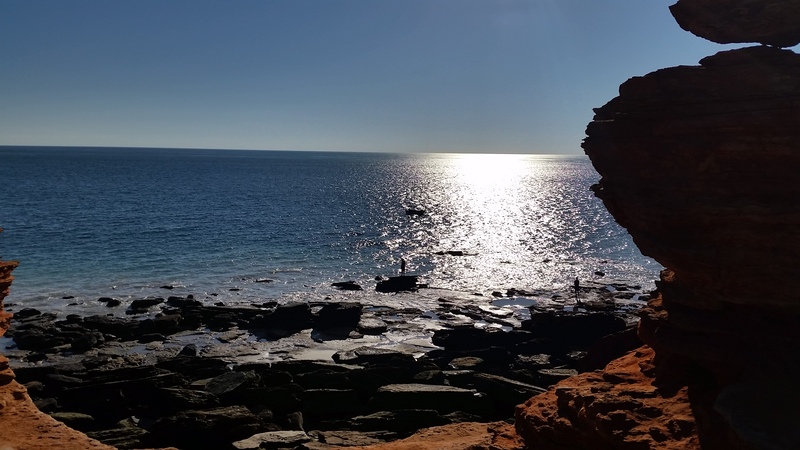 To our surprise the information boards asked people NOT to go down onto the rocks to look for them, so as to preserve their existence, which was confusing as this adventure is well advertised as one of the top 10 things to do in Broome……. So shaking our heads in confusion, we began to scramble down the big rocks to the low tide level to unsuccessfully look for the dinosaur footprints, we searched left, right, high and low with no avail, so after we were all hot and bothered and Jess was complaining of a stinging feeling on her big toe we retreated back up to the car. 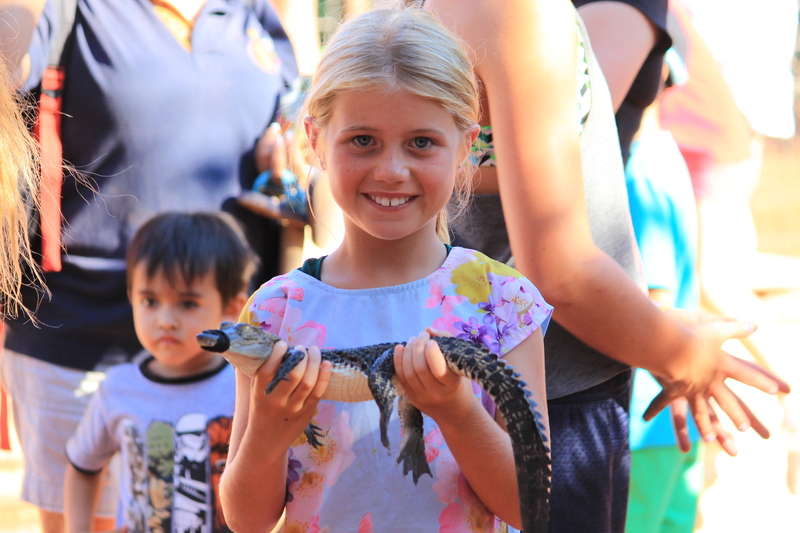 Disappointed that we had left empty handed, we promised ourselves we’d catch up with those sneaky dinosaurs on the east coast of Australia on the ‘Dinosaur stampede trail’ in QLD. 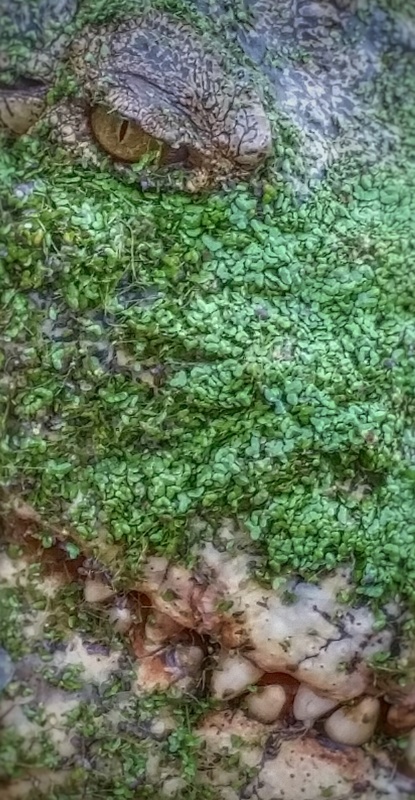 A replic of what the dinosaur prints were meant to look like. 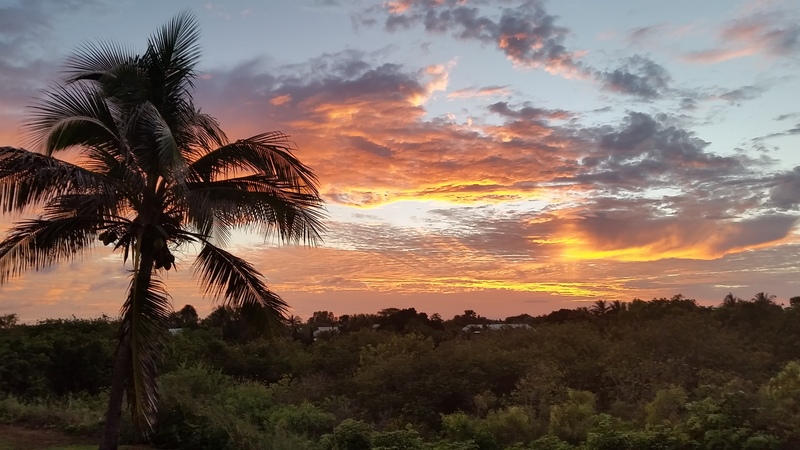 No dinosuar prints, but yet another awesome sunset. 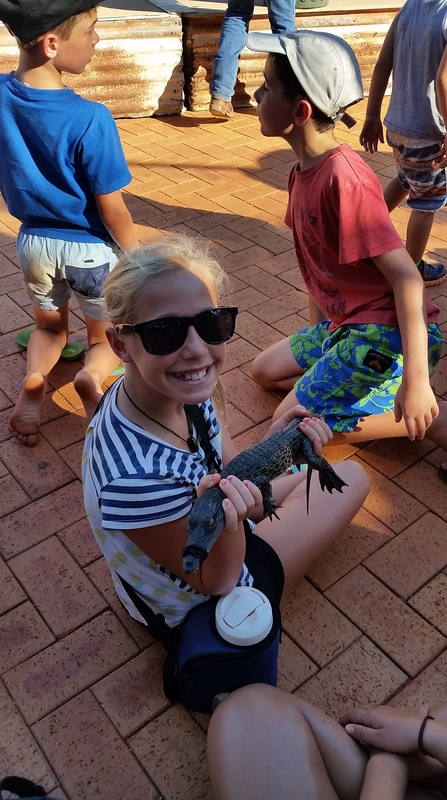 During our stay in Broome, we were also lucky enough to be have a few visits from family and friends back home, with Nik’s parents being first up and spending a week with us at the caravan park. 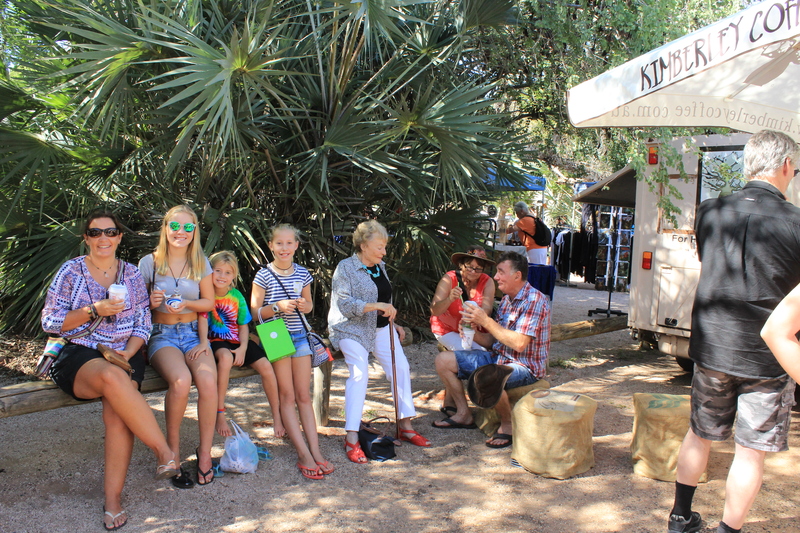 We spent a week playing tourist again, visiting the markets, the Broome Museum and also the old Convent. Sue and Derek also spent a lovely day out at Willie Creek Pearl Farm on one of their lunch and pearl tours. 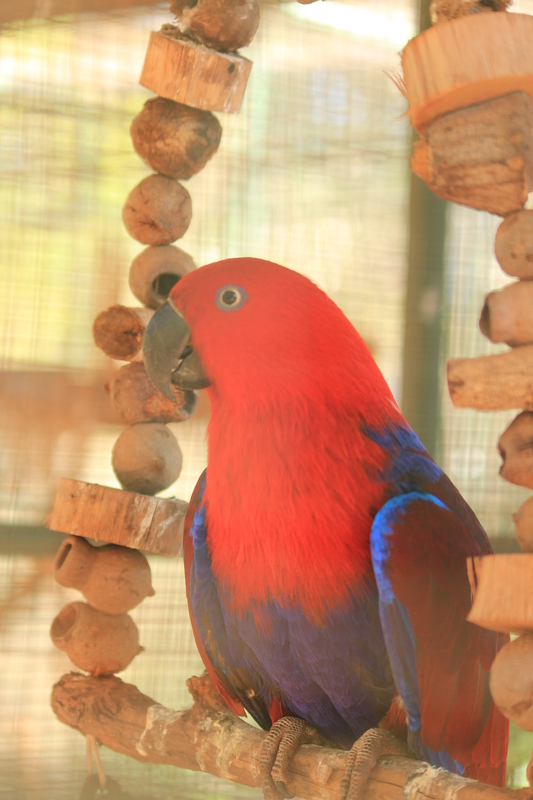 It was great to see them, as we hadn’t seen them since September last year, and we were all sad to see them go. 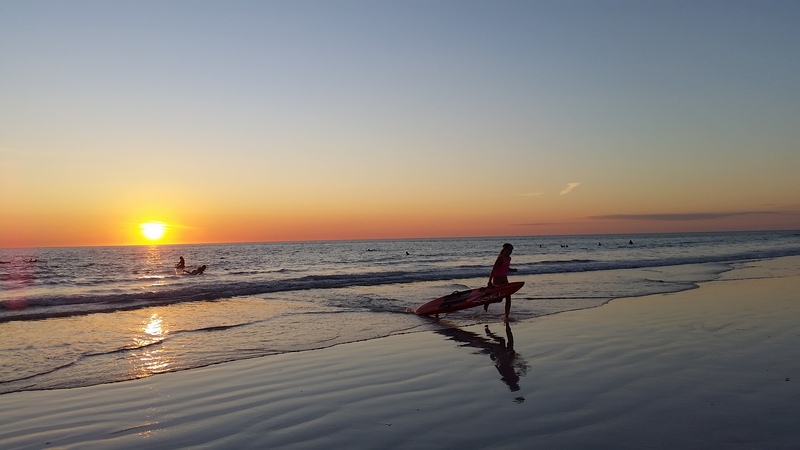 Nan and GP, AKA Sue nad Derek enjoying the Broome sunset on Cable Beach. 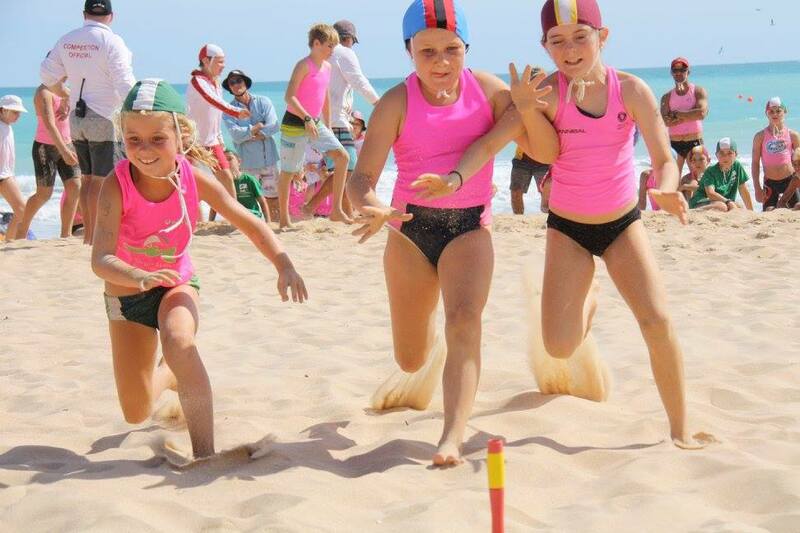 Before we had arrived in Broome, Nik had contacted the Broome lifesaving club explaining that we were visiting soon and that we were keen to participate in the Broome sunset lifesaving carnival in July. He also asked if the girls could join in with the occasional training session, as it had been a few months since they had been on a board. 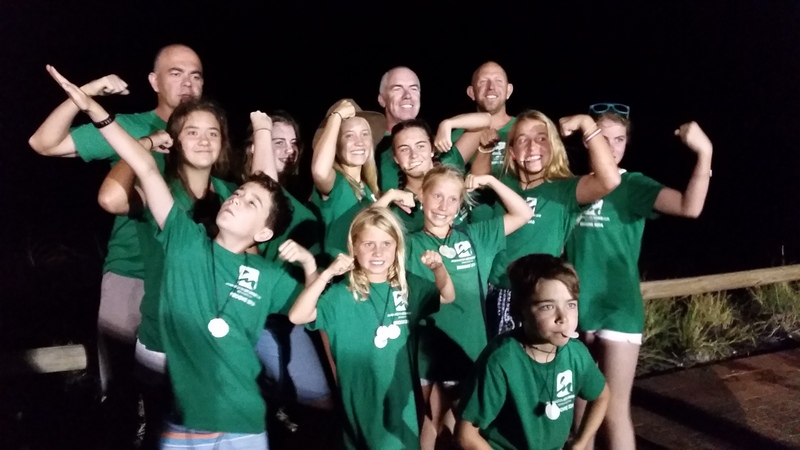 So not long after our initial arrival we headed down to the club and were practically met with open arms, yes the kids can do as much training with them as we wanted!!! 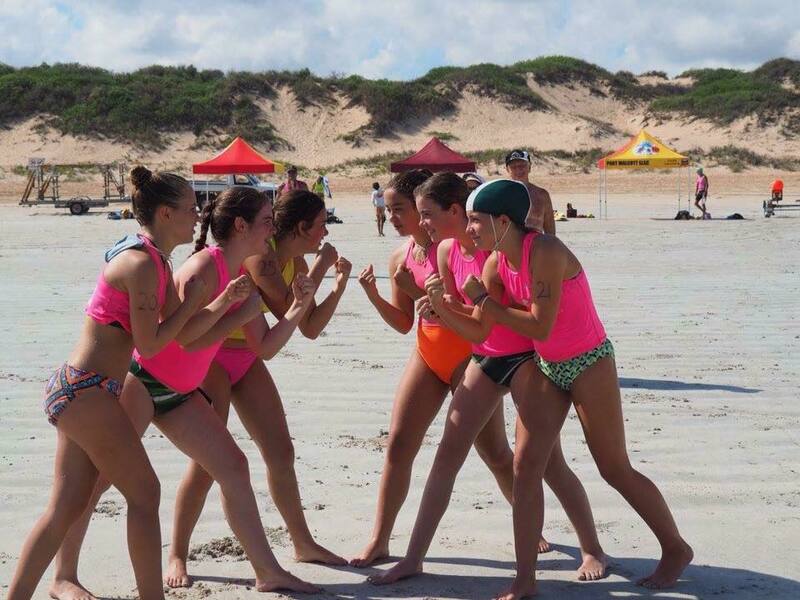 So to the girls delight, whenever we were in town we headed down to training 3 times a week in the afternoon, whilst Bec also trained 2 mornings a week with a dedicated few. Needless to say we were a common sight down at the club and we got to know a very welcoming and friendly handful of people that would bend over backwards to accommodate and help us. 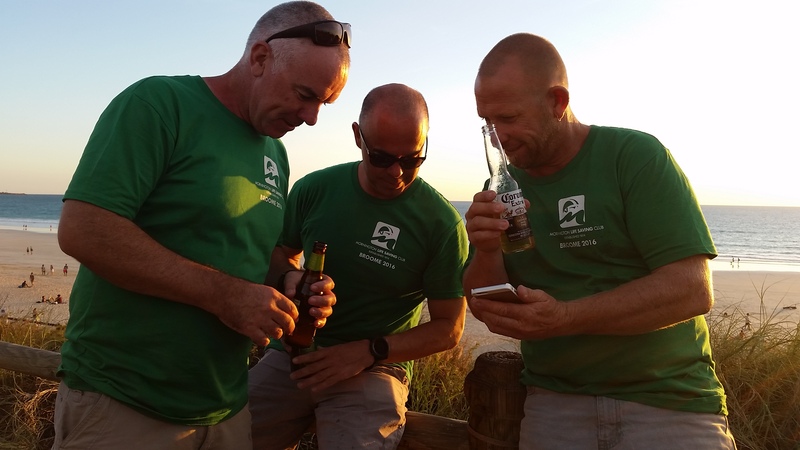 We felt that we had only scratched the surface of a very approachable, kind and sociable community that made up the life-saving club. 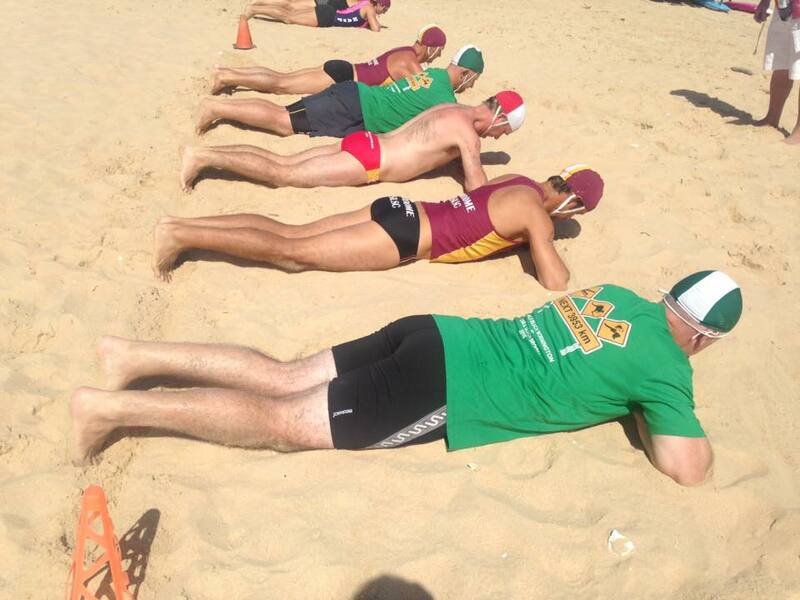 Tough work training with this view…..
Board training at Cable Beach. Happy to be back into training. 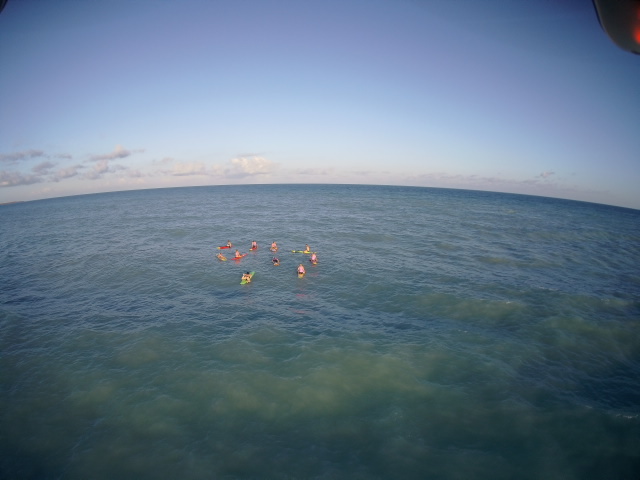 Catching a wave at training. 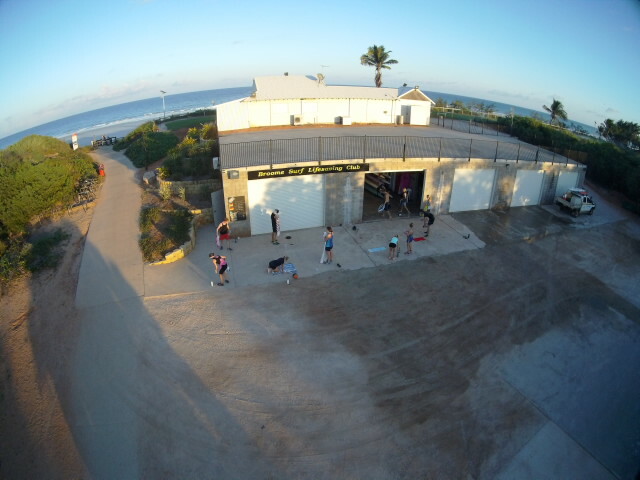 Early morning weights and core training. 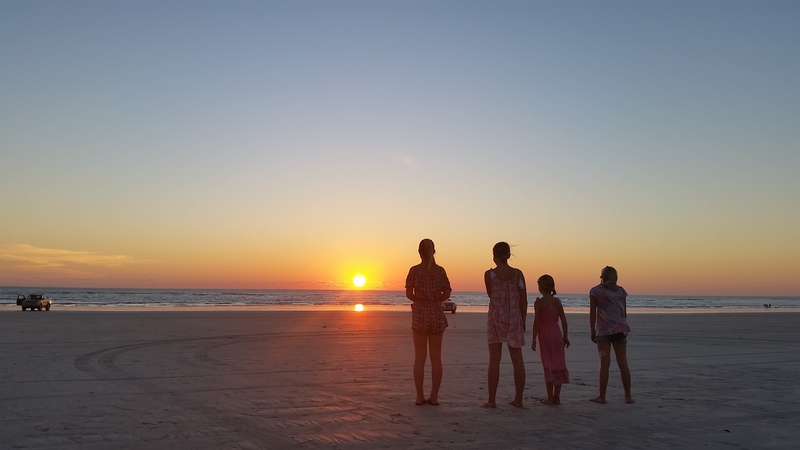 Our final 2 weeks in Broome are best described as the icing on the cake for our southern Kimberley adventure. 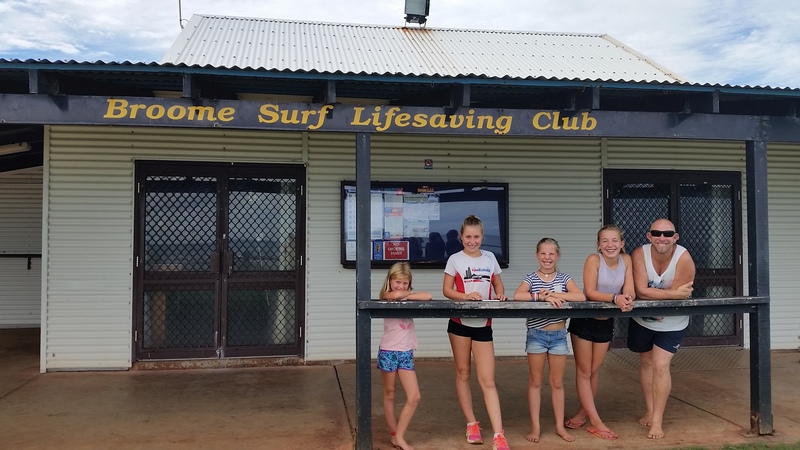 We were lucky and humbled to have our close friends, the McFarlane’s and the McAuley’s, from the Mornington Lifesaving Club come up to visit us for a few weeks. Of course as we knew they were coming up we had decided to leave a few touristy things to do for when they were here. 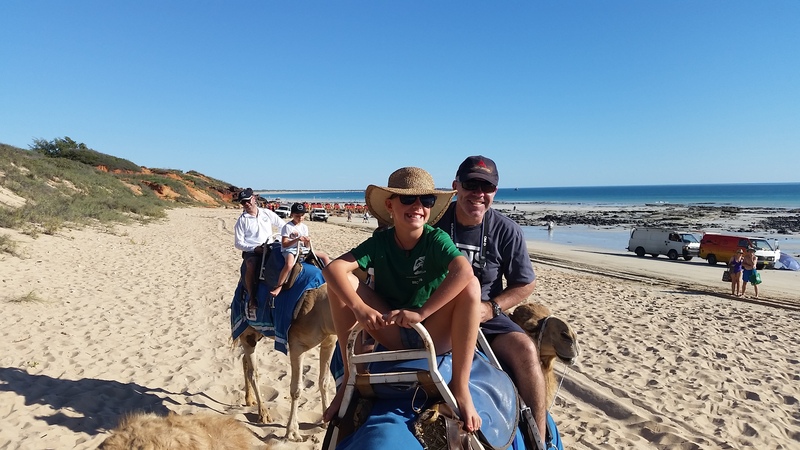 So firstly we caught up for dinner at the Divers Tavern for some crab racing, the kids also went and saw Finding Dory at the outside cinema and then we booked in for the quintessential camel ride and sunset on Cable Beach, something every Australian needs to experience. It was a great afternoon/ evening as we also celebrated Keiran’s birthday with a chocolate birthday cake and sparkles. 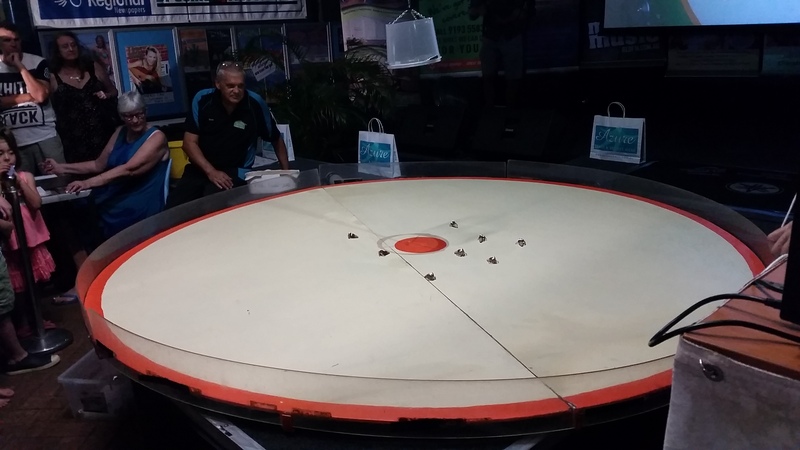 Crab racing at Divers Tavern. 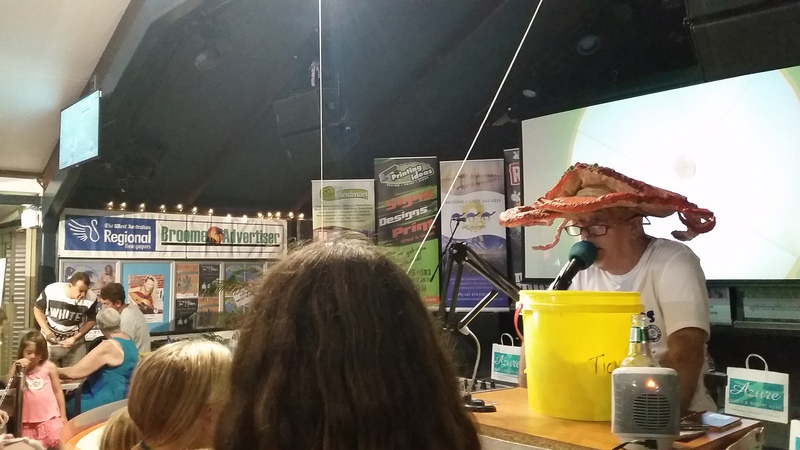 I want a crab hat too!!! 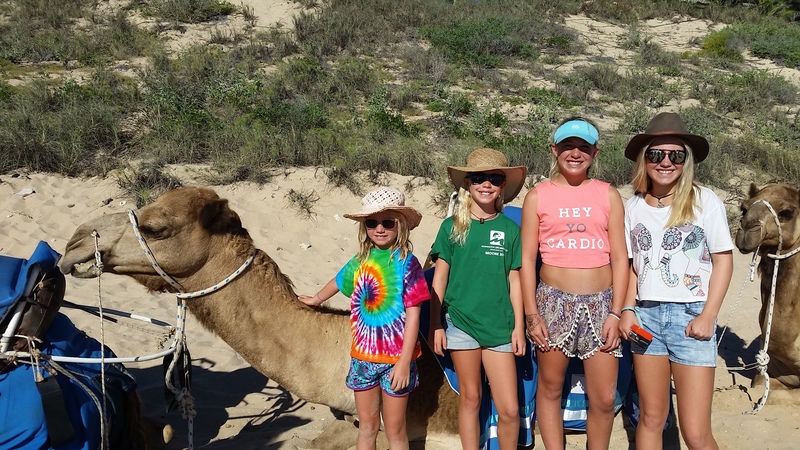 Getting ready for our camel ride. 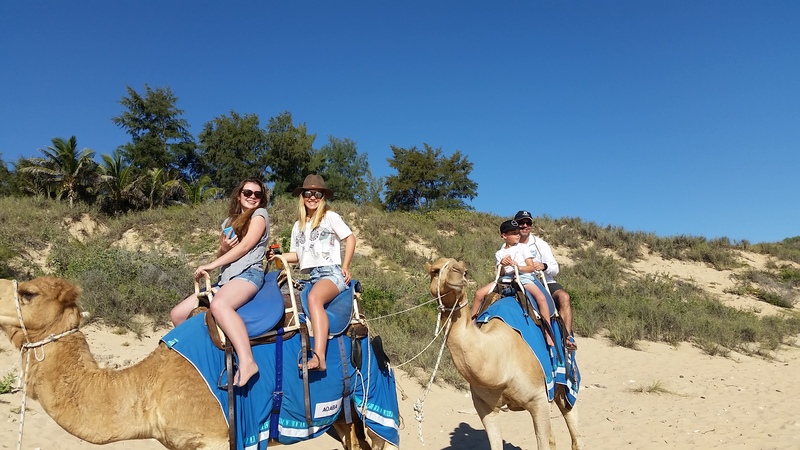 Bec and Chiara on Aqaba, not sure who was more scared the squealing girls of the camel or the camel of the sqealing girls. Abs and Keiran on Asland, going by Abby’s relaxed attitude you’d think she does this everyday. 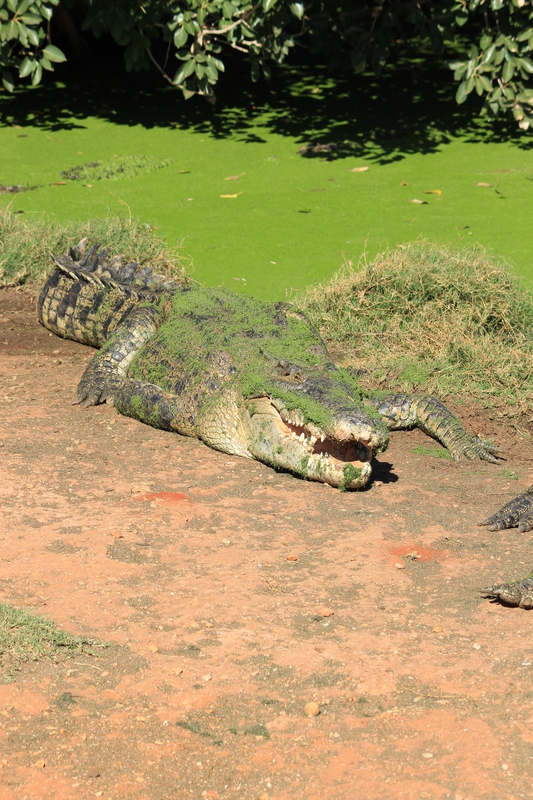 Wouldn’t like to find myself in that enclosure…. 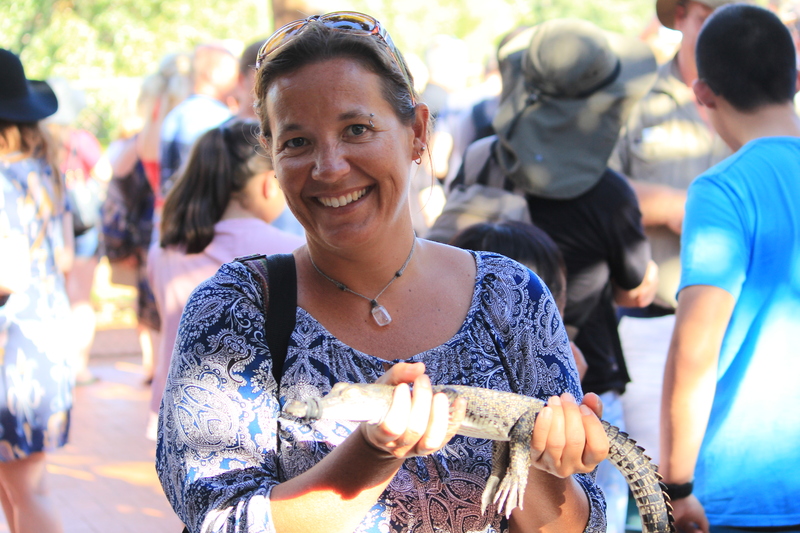 As the old rhyme states, you never smile at a crocodile…….. 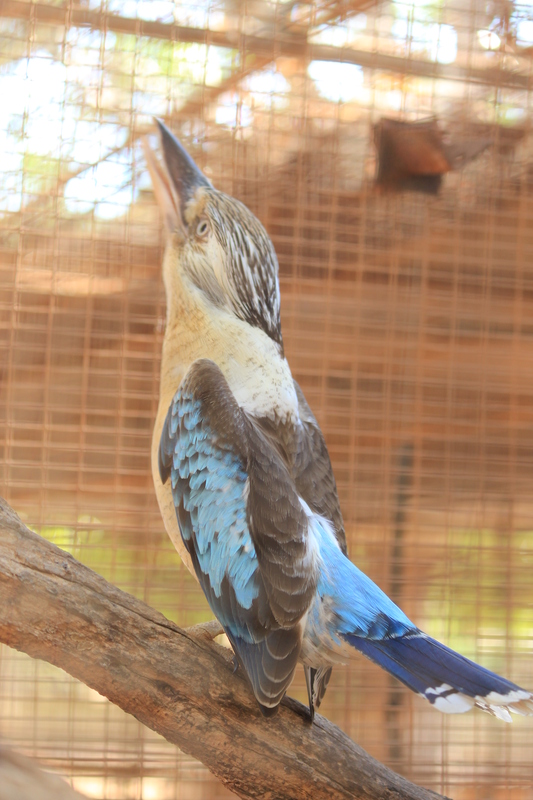 The croc farm also had lots of other animals, including some amazing birds. 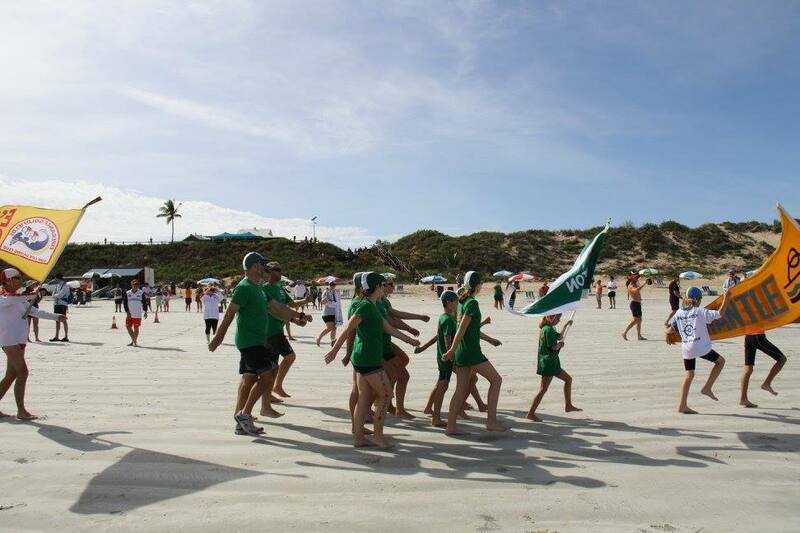 And so finally to top off our stay in Broome the Smith’s, together with the McFarlane’s and the McAuley’s donned the dark green skull caps of Mornington Life Saving Club and had an absolute ball participating in the weekend’s lifesaving carnival events. All up we had a team of 10 kids competing and even 3 master’s competitors, who all did us proud, even though the master’s team struggled to move for a few days afterwards. 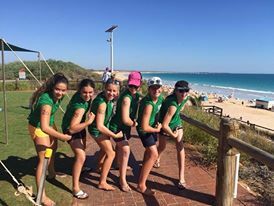 The Mornington girls flexing their muscles. 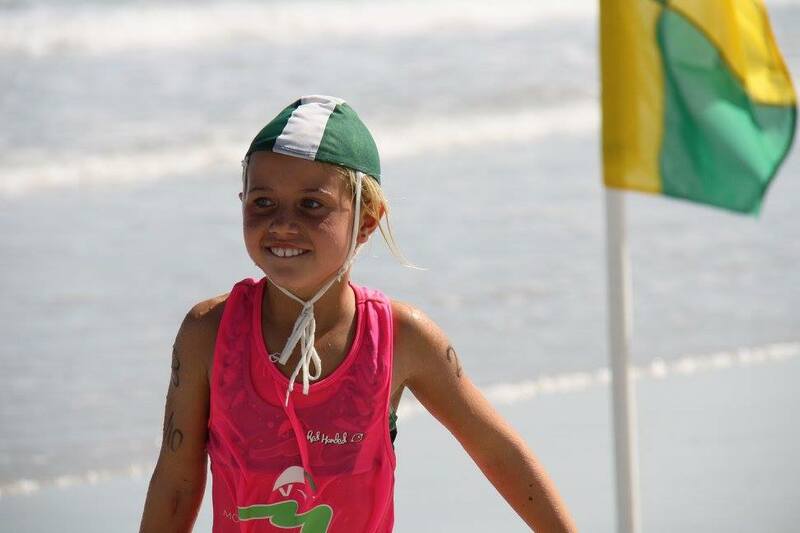 Jess in the carnival, photo coutesy of Broome Lifesaving Club facebook page. Jess in action. 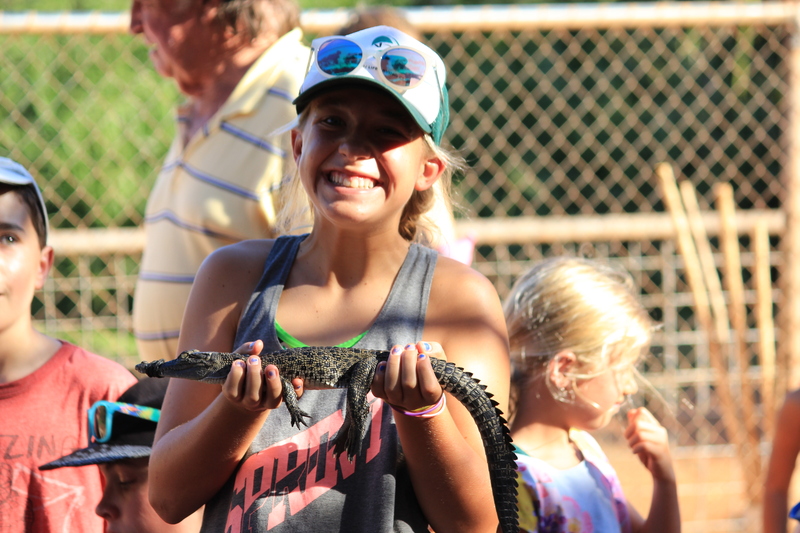 Photo courtesy of Broome LSC facebook page. MLSC doing the march past. Nik and Keiran lining up for flags. The masters competitors talking tactics. 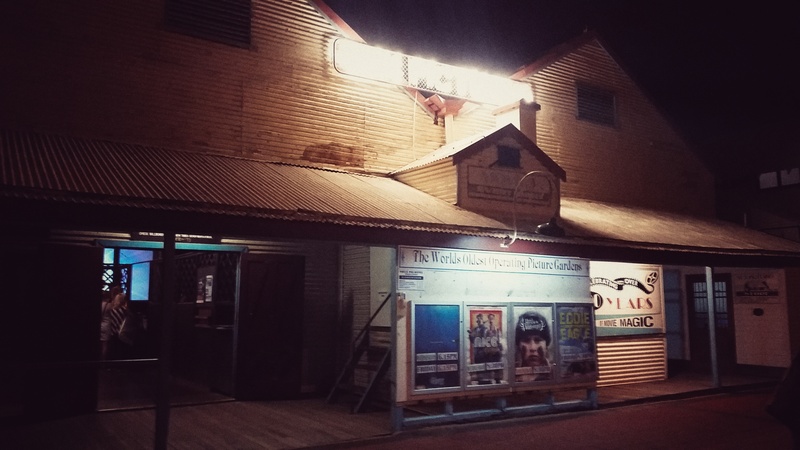 As we drove out of Broome for the final time, we did so with happy hearts. 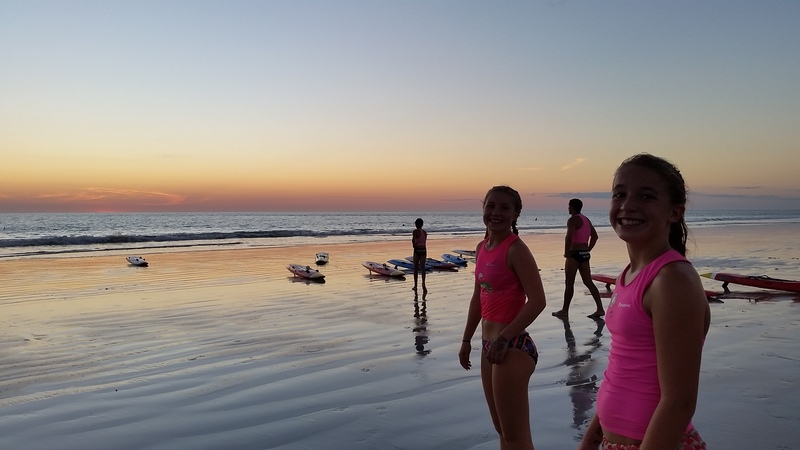 We felt we had experienced Broome as a semi-permanent local, even though we had felt we had only scratched the surface of the lifesaving community. 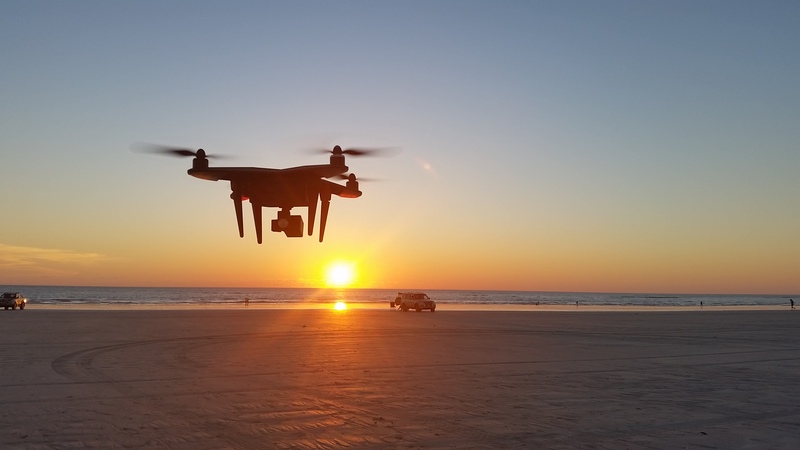 Like all small towns, Broome is not without its usual problems of drugs, violence and bored youth, both in town and with surrounding Indigenous communities. 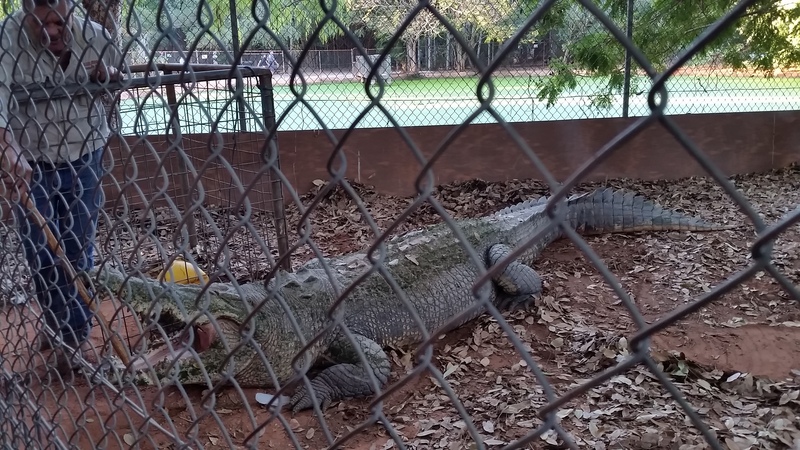 We also figured out that Broome is not really as it seems, once you wade past all the tourist paraphernalia (read fake Broome pearls, grr) and hype, it’s a typical small remote country town. 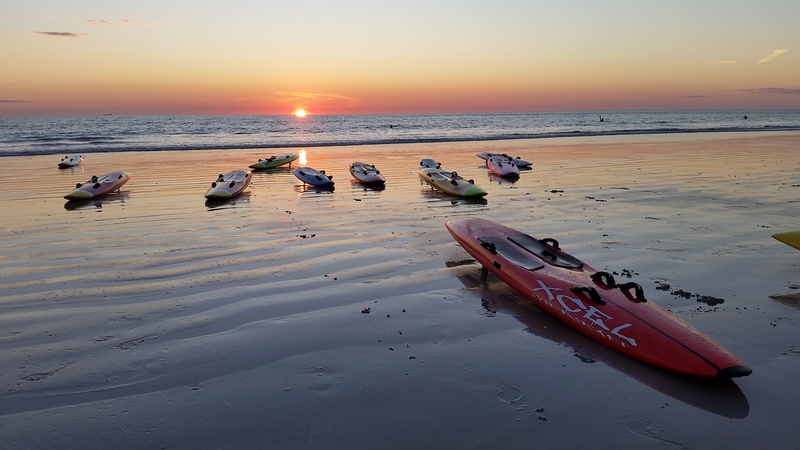 During the hype of the tourist season you don’t really get to see the real Broome or the locals out and about, so our experience at the lifesaving club gave us a small glimpse into the people that make up the small community that call Broome home. 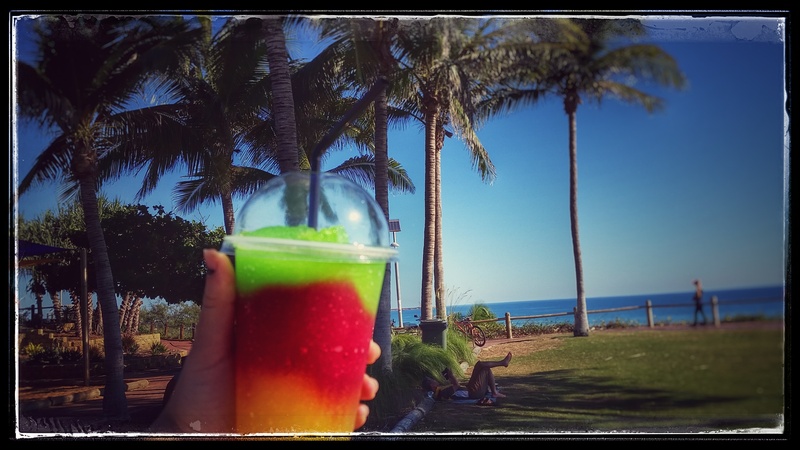 Whilst we really enjoyed our time in Broome, we felt we were ready to move on and experience our next adventure and destination on our OZLAP……..
Of course we had many slushies as it heated up at Cable Beach. 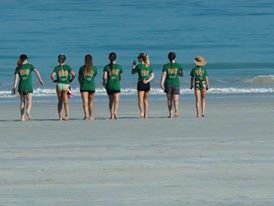 The girls at Cable Beach. 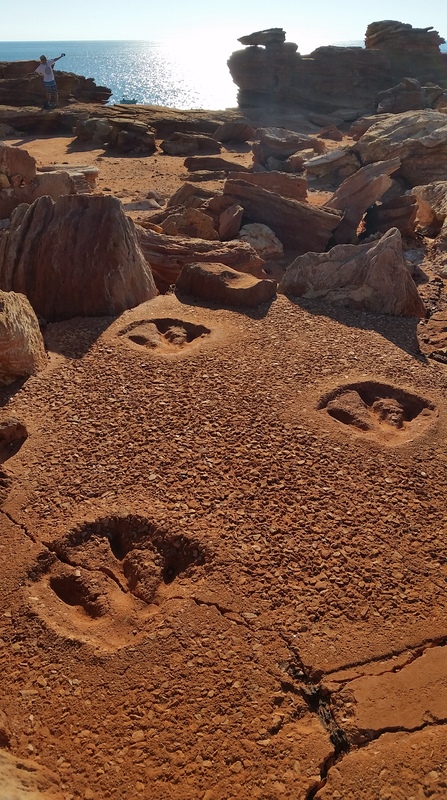 Previous Previous post: Purnululu National Park ( Bungle Bungles), Western Australia. 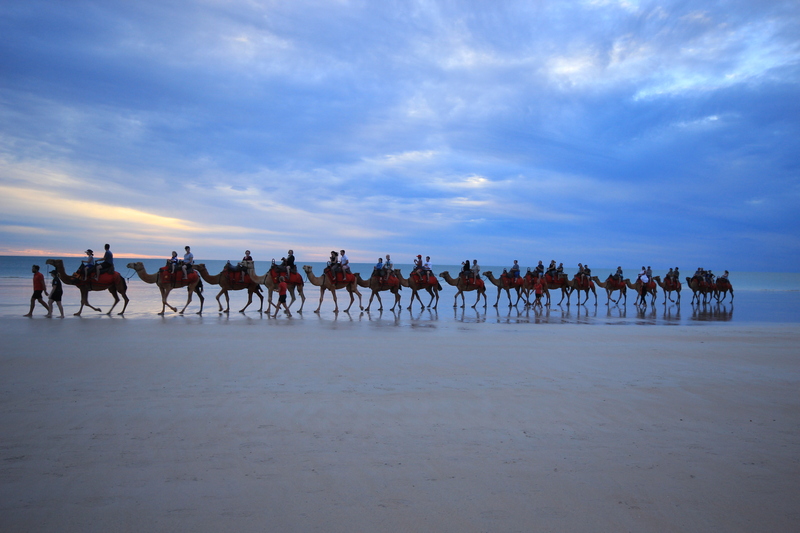 Great pics as usual, lots of good memories of Broome.